[Vietnamese Teachers' Day -20/11] Mrs. Dinh Le Thi Thien Nga - the committed teacher, the beloved companion who has been guiding us through each Geography lesson. To me, Geography had always been every challenging, as I was not good at it and to be very honest I did not have much of any interest for this subject. That was until Mrs. Dinh Le Thi Thien Nga became my Geography teacher. Although I used to have unfavorable attitudes towards this particular subject, she has completely changed my point of view. Back then, I had had my doubt about this subject. “How am I going to pull myself through Geography in 10th grade?” “As Geography is undeniably important to my specialized class, will my new teacher have anything interesting to offer in her lessons?” My class had been having high expectations of a Geography lesson that would radically change the way we thought and inspire us. Her lessons had, in no way, fallen short of our expectations, not to mention surpassing them. After nearly 3 months attending her classes, we have come to love Geography. Above all, we have come to love her – our inspirational teacher. Her lovely, silvery voice has made a lasting impression on me, as if it embodies her passion and love for her teaching career. Her voice makes it so much easier for us to focus on the lessons. Having been a teacher for many years, she is able to understand our concerns regarding homework and extra assignments. As a result, she comes up with different methods of teaching so that we can take as few notes as possible, yet still allows students to thoroughly understand the main points. In addition, her bright smile and tender look make her students feel comforting and relaxed during Geography class. When we miss out on homework or have not carefully prepared for that day’s class, she never fails to remind us firmly of our duties. That has had great influence on our disciplinary, our view on Geography and the way we study it. Rather than punishing us, Mrs. Nga tells stories and through those daily life anecdotes, she points out the problems that our class is facing and how we should deal with them. Thanks to that, we get to know her more and since then, we have been trying our very best to follow her advice and not to make the same mistakes. Age seems to have very little effect on her. She has an extremely good taste for clothes and it would not be exaggerating to say that she still has a very refreshing outlook on life. She definitely knows how to join in the lively atmosphere at school trips and extra-curriculum activities. After such occasions, students feel much closer to her and the relationship between teacher and students is considerably enhanced. Not only does she do remarkably well in teaching, but she is also exceptionally good at organizing important large scale events for the school. Like during this year’s first day of school, she was one of the key individuals to put together those engaging performances. Moreover, she is known to have been involved in a lot of charitable events. We had the chance to capture her many moments during the trip to a social support organization in Tuyen Quang last week. Although she is not our form teacher, but we – the students of class 10 History, still have much love and respect for our dear Geography teacher. Teachers’ Day is not just a day devoted to celebrating teachers’ contribution and devotion; it is also a day for students to express their gratitude and love towards teachers. On this very special occasion, our class would like to wish Mrs. Nga all the best of luck. We hope that she and her family are happy always. Furthermore, we wish, with our dearest heart, that she will be able to successfully accomplish her teaching goals and she will still be our lovely Geography teacher. Deep down, I know that she will continue to introduce us to the fascinating knowledge that Geography has to offer. From there, we will learn to love our country, as well as those far off lands, and this valuable knowledge will play a significant role in our journey towards the future. 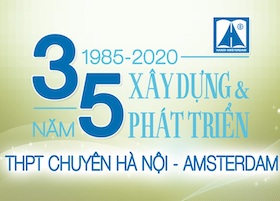 We, as future leaders and citizens, have much to thank her – Mrs. Dinh Le Thi Thien Nga.